​All living things need food, water and shelter. Let’s get out and about to discover what lives in our herb garden, meadow, hedge or woodland. We look at camouflage with a a wooly worm game and take the opportunity to identify plants and animals, their parts and life stages while hunting for a range of mini-beasts. 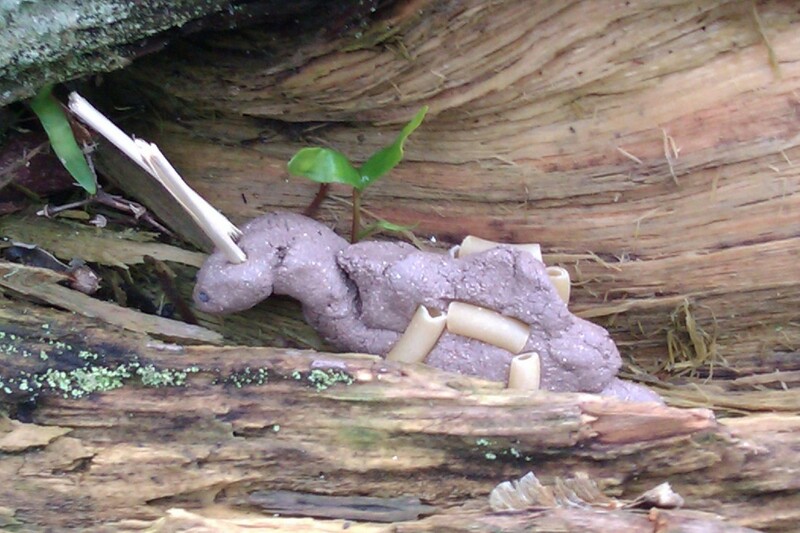 Pupils can build mini-beast shelters and make mini-beasts out of clay. We will explore habitats in different ways using our senses to discover colour, scent, sound and texture. We care about all our creatures on site and try to help by providing healthy habitats. Science KS1 - Identify and name a variety of common animals that are carnivores, herbivores and omnivores. Science KS1 - Identify that most living things live in habitats to which they are suited and describe how different habitats provide for the basic needs of different kinds of animals and plants, and how they depend on each other. Science KS1 - Identify and name a variety of plants and animals in their habitats, including microhabitats. Science KS1 - Describe how animals obtain their food from plants and other animals, using the idea of a simple food chain, and identify and name different sources of food.